Gray agate slice is also used as a treatment after being stabbed by toxic objects. It can strengthen the strength of the lower plate, alleviate the imbalance. 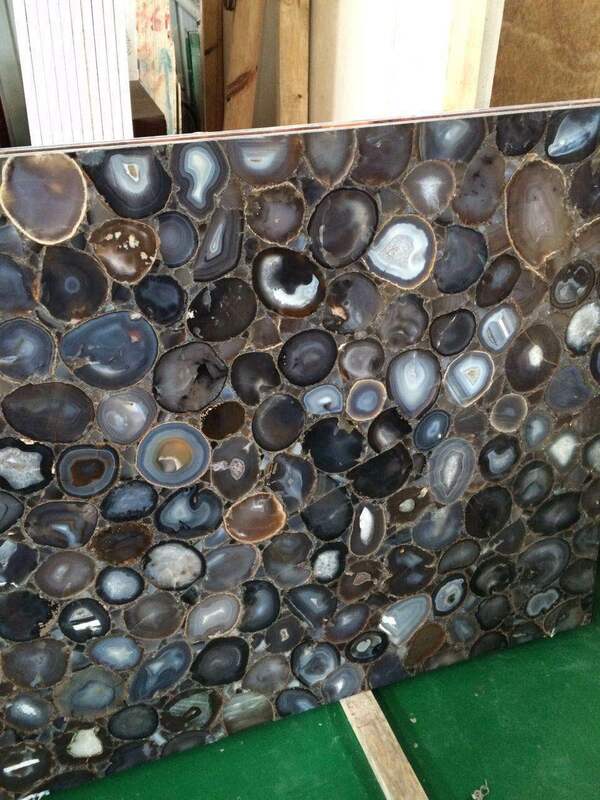 Grey agate stone make people cherish the body, strengthen courage and endurance. Gray agate stone is a grounding stone, bringing about an emotional, physical and intellectual balance. They aid in centering and stabilizing physical energy. Gray Agate has the power to harmonize yin and yang, the positive and negative forces that hold the universe in place. Agate slabs series -- grey agate stone slab, surface finish is polished, Size normally 240*120*2cm,thickness is 2cm (normally 0.5cm grey agate +1.5cm natural commercial stone or artificial stone/glass/Acrylic).max size can be 300*180cm.Mainly being applicated as wall tiles, floor tiles, table top, countertop. 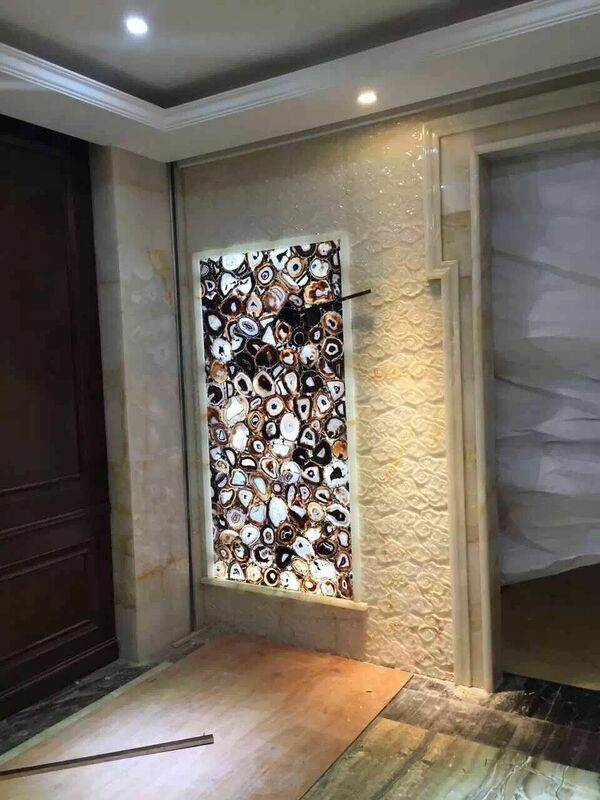 We normally produce translucent grey agate stone slab with small blocks, if you prefer this grey agate backlit stone panels to be translucent, you can laminate the slab with glass or acrylic. Translucent Grey agate is full of bright and fantastic colors and warm atmosphere. We normally produce many colors agate slabs, nature purple agate if you prefer any other colors, you can contact us for details. Agate is full of bright and fantastic colors and atmosphere. This grey agate with white lines in the middle is suitable for home walls and kitchen countertops. Looking for ideal Grey Agate Stone Manufacturer & supplier ? We have a wide selection at great prices to help you get creative. All the Grey Agate Slice are quality guaranteed. 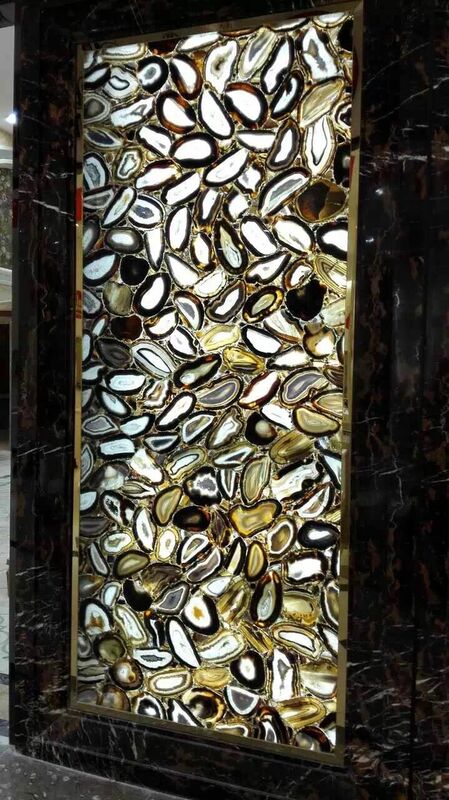 We are China Origin Factory of Agate Slabs for Sale. If you have any question, please feel free to contact us.